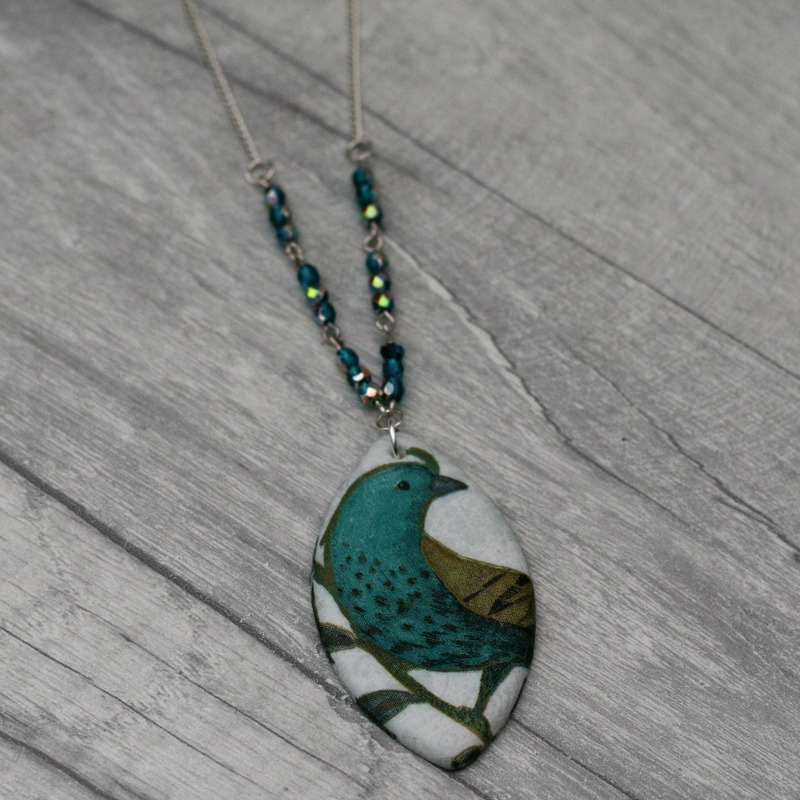 This beautiful bird necklace has been made by adding a decoupaged bird pendant to an 18" silver plated split chain along with some pretty matching beads. • This necklace comes with a 18” silver plated chain. The charms used in this necklace have been handcrafted from polymer clay, fired and painted. They were not made by me, but I am happy to be able to buy beads from another artist and support their business.